قایدی, مرتضی, نجفی, ارسلان, فلقی, حمید. (1395). حل مسأله‌ی توزیع اقتصادی بار در سیستم‌های ترکیبی توان و حرارت مبتنی بر الگوریتم جهش قورباغه‌ی بهبود یافته. مجله علمی-پژوهشی رایانش نرم و فناوری اطلاعات, 5(4), 26-33. مرتضی قایدی; ارسلان نجفی; حمید فلقی. "حل مسأله‌ی توزیع اقتصادی بار در سیستم‌های ترکیبی توان و حرارت مبتنی بر الگوریتم جهش قورباغه‌ی بهبود یافته". مجله علمی-پژوهشی رایانش نرم و فناوری اطلاعات, 5, 4, 1395, 26-33. قایدی, مرتضی, نجفی, ارسلان, فلقی, حمید. (1395). 'حل مسأله‌ی توزیع اقتصادی بار در سیستم‌های ترکیبی توان و حرارت مبتنی بر الگوریتم جهش قورباغه‌ی بهبود یافته', مجله علمی-پژوهشی رایانش نرم و فناوری اطلاعات, 5(4), pp. 26-33. قایدی, مرتضی, نجفی, ارسلان, فلقی, حمید. حل مسأله‌ی توزیع اقتصادی بار در سیستم‌های ترکیبی توان و حرارت مبتنی بر الگوریتم جهش قورباغه‌ی بهبود یافته. مجله علمی-پژوهشی رایانش نرم و فناوری اطلاعات, 1395; 5(4): 26-33. در این مقاله یک روش نوین مبتنی بر الگوریتم جهش قورباغه بهبود یافته برای حل مسأله‌ی توزیع اقتصادی بار در سیستم‌های ترکیبی توان و حرارت ارائه شده است. پیچیدگی و دشواری در حل مسأله‌ی توزیع اقتصادی بار در سیستم‌های تولید همزمان گرما و الکتریسیته به قیود این مسأله مرتبط است که این الگوریتم به راحتی قادر است این قیود را ارضا نماید. این الگوریتم بهینه‌سازی حوزه جستجوی عمومی گسترده‌ای دارد و این امر به الگوریتم در رسیدن به جواب بهینه مطلق کمک می‌کند. کاربرد الگوریتم جهش قورباغه‌ی بهبود یافته در توزیع اقتصادی بار در سیستم‌های ترکیبی توان و حرارت روی دو مثال آزمایش شده و نتایج عددی این حقیقت را آشکار می‌سازد که این روش دارای جواب بهتری نسبت به سایر روش‌های موجود برای حل مسأله می‌باشد. T. Guo, M.I. Henwood, M. Van Ooijen, “An algorithm for combined heat and power economic dispatch” IEEE Trans. Power Syst. Vol. 11, pp. 1778–1784, 1996. F.J. Rooijers, V. Amerongen RAM, “Static economic dispatch for co-generation systems” IEEE Trans. Power Syst., Vol. 9, No. 3, pp. 1392–1398, 1994. A. Rong, R. Lahdelma, “An efficient envelope-based branch-and-bound algorithm for non-convex combined heat and power production planning” Eur J Oper Res, Vol. 183, No. 1, pp. 412–431, 2007. M. Sudhakaran, S.M.R. Slochanal, “Integrating genetic algorithms and tabu search for combined heat and power economic dispatch” Proc. of Conference on Convergent Technologies for Asia-Pacific Region, TENCON 1(2003) 67-71. Y. H. Song, Q. Y. Xuan, “Combined heat and power economic dispatch using genetic algorithm based penalty function method” Electr Power Comp Syst. Vol. 26, No. 4, pp. 363–372, 1998. C. T. Su, C. L. Chiang, “An incorporated algorithm for combined heat and power economic dispatch” Electr Power Syst Res. Vol. 69, No. 2–3, pp. 187–195, 2004. A. Vasebi, M. Fesanghary, S. M. T. Bathaee, “Combined heat and power economic dispatch by harmony search algorithm” Int J Electr Power Energy Syst. Vol. 29, pp. 713–719, 2007. E.Khorram, M.Jaberipour, “Harmony search algorithm for solving combined heat and power economic dispatch problems, Energy Conversion and Management” Vol. 52, pp. 1550–1554, 2011. Y. H. Song, C. S. Chou,T. J. Stonham, “Combined heat and power dispatch by improved ant colony search algorithm” Electr Power Syst Res. Vol. 52, pp. 115–121, 1999. K.P.Wong, C. Algie, “Evolutionary programming approach for combined heat and power dispatch” Electr Power Syst Res. Vol. 61, pp. 227–232, 2002. P. Subbaraj, R. Rengaraj, S. Salivahanan, “Enhancement of combined heat and power economic dispatch using self adaptive real-coded genetic algorithm” Applied Energy. Vol. 86, pp. 915–921, 2009. L.F. Wang, C. Singh, “combined heat and power dispatch based on multi-objective particle swarm optimization” Int J Electr Power Energy Syst. Vol. 30, pp. 226–234, 2008. V. N. Dieu, W. Ongsakul, “Augmented Lagrange Hopfield network for economic load dispatch with combined heat and power” Electr Power Comp Syst., Vol. 37, No. 12, pp. 1289–1304, 2009. 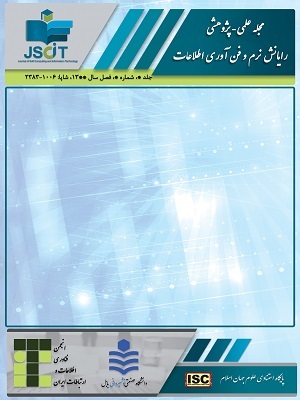 S.S.S.Hosseini, A.Jafarnejad, A.H. Behrooz, A.H.Gandomi, “Combined heat and power economic dispatch by mesh adaptive direct search algorithm” Expert Systems with Applications, Vol. 38, No. 6, pp. 6556-6564, 2011. ا. نجفی، .م. قایدی، ح. فلقی، "کاربرد الگوریتم بهینه‌سازی جهش قورباغه‌ی بهبود یافته در توزیع اقتصادی بار میان نیروگاه‌ها با توابع هزینه‌ی ناصاف"، بیست و پنجمین کنفرانس بین المللـی برق PSC2010، مقاله‌ی 10-F-LEM-2041، آبان 1389، تهران. T. Hoang Huynh, “A modified shuffled frog leaping algorithm for optimal tuning of multivariable PID controllers” IEEE international conference, 2008. T. Hoang Huynh, D.Hoang Nguyen, “fuzzy controller design using a new shuffled frog leaping algorithm” IEEE international conference, 2009. M. Alinia Ahandani. N. Pourqorban Shirjoposht. R. Banimahd, “job-shop scheduling using hybrid shuffled frog leaping” Proceedings of the 14th International CSI Computer Conference IEEE, 2009. J. Ebrahimi. S. H. Hosseinian, “Unit commitment problem solution using shuffled frog leaping algorithm, IEEE Trans. Power Syst. Vol. 26, No. 2, pp. 573-581, 2011. T. Niknam, E. AzadFarsani, “A hybrid self-adaptive particle swarm optimization and modified shuffled frog leaping algorithm for distribution feeder reconfiguration” Engineering Applications of Artificial Intelligence,Vol. 23, No. 8, pp. 1340-1349, 2010. Janez Brest, Viljem ˇ Zumer, Mirjam Sepesy Mauˇcec, “self-adaptive differential evolution algorithm in constrained real-parameter optimization” IEEE Congress on Evolutionary Computation, 2006.